On a cover of a popular magazine recently was a picture of an immodestly dressed obese woman. Our culture is trying to normalize obesity and even celebrate it. You can see this happening with other sins as well. We must never fall into their trap, dear women. We must never try to normalize something that God clearly calls sin. If you have a hypothyroid, as I do, seek medical attention, walk forty or so minutes a day, and give up all sugar. These are the things that have allowed me to keep excess weight off yet understanding it is a constant battle that requires a regular daily approach of eating right, portion control, and exercise. When you give up sugar, you give up a lot of junk food. Thankfully, I still have my healthy chocolate but still have to be careful to eat it in moderation! The believer knows that her flesh was dead and buried in Christ Jesus: “But ye are not in the flesh, but in the Spirit, if so be that the Spirit of God dwell in you” (Romans 8:9). It is not that we will never struggle with our dead fleshly desires, but rather we now can say “no” to the flesh and “yes” to righteousness in everything! And we can attain this, as we are promised, since we can do ALL things through Christ who strengthens us. All of us have or had sins we have struggled to overcome and we can either live a life of excuses or we can believe God at His Word and begin to say “no” to sin. I seriously doubt any of you are celebrating obesity as this magazine cover is trying to portray. If you are significantly overweight, I am sure you don’t like it and want badly to get into shape to feel better. You’ve tried many diet plans but continue to fail. I encourage you to find your identity in Christ by reading and studying Romans 6 and 8. Learn from preachers and teachers of the Word who explain your new lives in Christ like Andrew Farley and Michael Pearl. You don’t need to live as if you have no control over your flesh; for Christ died to free you from sin! Find accountability and learn to eat healthy with a regular exercise routine and moderation. Never give up! My four friends didn’t and they all look great now. You can do it, too! And never forget that God is in your struggle with you full of grace and love. He will give you His strength and will power but only if you take the first steps of faith. Believing and trusting God does not mean sitting back and waiting for Him to deliver you; for He has already delivered you from sin and made you His child. All you have to do now is get up off the couch, exercise whenever possible, and begin practicing moderation in your eating. Listen to the apostle and follow God’s ways in order to reap His many blessings on this earth and in the world to come. One of my friends just posted this on her Facebook wall and she looks amazing! “Celebrating one year of being free from my addiction to processed sugar and other empty carbohydrates! “It was Labor Day 2017 when God showed me I was being mastered by it through His Word thou shalt be mastered by nothing’ (1 Corinthians 6:12). I knew I loved chocolate and even used to joke about being a chocoholic but I had no idea I had allowed it to ‘master’ me. 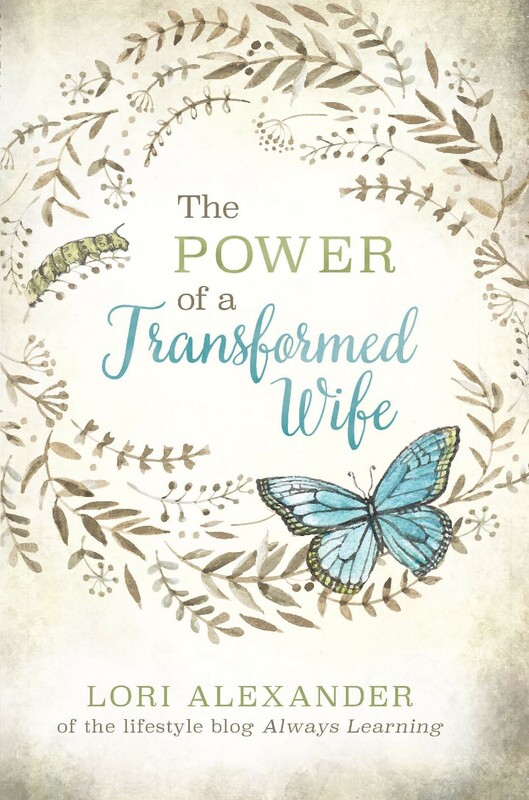 “I confessed my sugar addiction as a sin against Him, I professed to eat only healthy sweets, asked God to give me the strength to surrender to His Will, and asked several friends (hubby and Celebrate Recovery) to help hold me accountable. He was faithful to my plea although it was not easy at first to deny myself brownies, etc. and instead turn to His way of satisfying my natural desire for sweets. “Now I love eating apples, sweet potatoes and baking with maple syrup, stevia, etc. I’ve lost 25 pounds although that was not my goal. I feel more energetic and mentally alert but nothing beats the feeling of being set FREE from the hold that junk had on me!!! There are many ‘popular’ clothing stores and chains now clearly celebrating obesity by having very, very large women models (oddly, I haven’t seen any obese male models yet) show up in email ads I’ve received and all over the pages of sale catalogs /magazines that I receive in the mail. They model everything from jeans and tops to lingerie. It is shocking – and not in a good way. Thank you for your blog posts. I think you messages are very important. I will be linking to your blog for all graduation cards I write next spring for my daughter and her girlfriends… hoping they check you out and ponder your words as they prepare for college and life after high school. There can be a happy medium here. I don’t mind seeing clothing modeled on plus size women because even if you are trying to lose weight and be healthier, you still need to know what clothes will look like on the body you have now! I agree with Lori but not with some of these Comments… having plus size models isn’t “celebrating” obesity it’s just showing women who need to buy those sizes how the clothes will fit them. For younger girls, I think a range of models is good as we all know some girls go through a chubby phase before they shoot up 5 inches! No need to make them feel bad for that! (Another Solution here: don’t keep magazines around and only have your daughter actually try on clothes that you think will fit her so she doesn’t have any models to compare to!) also question for you Lori: when you cut out sugars, do you mean fruit/vegetables too or just sweets? I have hypothyroid and am wondering! I’m glad to see this post. I couldn’t agree more with you. I had been obese most of my adult life. I decided February of 2017 to start Weight Watchers and make a change. I lost 40 lbs then in July had a mild heart attack. That will keep you motivated to lose weight. God is so good, I have since lost over 90 lbs and still have a little left to hit my goal. There’s no doubt you will struggle from time to time but it is important to stick to it. I thank God for giving me a second chance, despite my stupidity of not taking care of myself over the years. I feel so much better and I am thankful!!! By way of encouragement, giving up sugar some 3 1/2 years ago didn’t really seem that difficult to me, and hasn’t really seemed that hard to maintain. Much easier than quitting smoking. The cravings pretty much go away after a couple weeks, and after a couple months it occurs to you there really aren’t that many commercially available products with sugar that are worth eating anyway (considering how many of them are made with corn syrup and artificial flavoring, yecch). Anything where sugar is in the 1st, 2nd, or 3rd place on the ingredient label is off my list. In addition to the obvious sugary foods (candy, sweet baked goods, ice cream) there are all sorts of foods which are mainly or substantially sugar: granola & granola bars, sports bars, ketchup, barbeque sauce, sweet & sour sauce, etc. There also nowadays have celebrities (at least in England) who brag about how proud they are of being ‘big’ even though their doctor place them in a high health risk category. And then all of a sudden you don’t see them for a while and when you do, you get a shock. They are so slim now that Ty hey are unrecognisable. And no, they haven’t been ill, depressed or on drugs, they have just been dieting. And you are thinking !huh!. I get the whole anti-bullying thing, but these new campaigns seem different. I understand including all peoples and that is a good thing even if it goes against some religions. Take people for what/who they are. This new stuff is grossing me out because it is such a health risk, and the too skinny models are not healthy either. Our bodies have a fairly wide margin of weight range to still be healthy, but too fat or too thin should not be normalized. my weight became a struggle in my 30’s due to a lifetime of bad habits. it all finally came to a head in my early 40’s w/hypertension,prediabetes,and gallbladder surgery. I realized then I was killing myself w/food much the same way an addict does w/drugs or alcohol. now we watch what we eat, walk every day and it is working. struggles are still there, but we are seeing big dividends w/our health. we watch the rest of our extended family suffer w/health conditions they could improve by diet and exercise, but they still choose drugs and doing nothing else. their drs oblige and refuse to address this. thankful we had a dr who told us drugs would not help, and we would not get better until we changed our lifestyle. thanks for writing about this even though it is not politically correct. No shade, but this is the first post of yours I’ve read that I can 100% agree with. As someone who has been dragged to weight loss meetings before I could even drive and hounded about my weight all my life (wrongfully so, my mom admits, until now, which is true), seeing people give up really grinds my gears. I’ve recently gone back to the gym to lift and do Crossfit because my health is already impacted, and my boss (my work mom) and I caught it by complete happenstance. Add to that when my bridesmaids dress didn’t fit for my brother’s wedding in a few months, I had a meltdown and the kick in the pants I needed. And I never thought I’d say this, Lori, but you’re right about one thing: processed sugar is crack. Once again, no shade. obesity is an eating disorder and needs eating disorder treatment. trauma therapy is very helpful as to discover the root cause of the disease. Overeaters Anonymous is founded on Godly principles and is very helpful. i also recoomend SOZO ministries and inner heal/ing. agree A Lady of Reason. 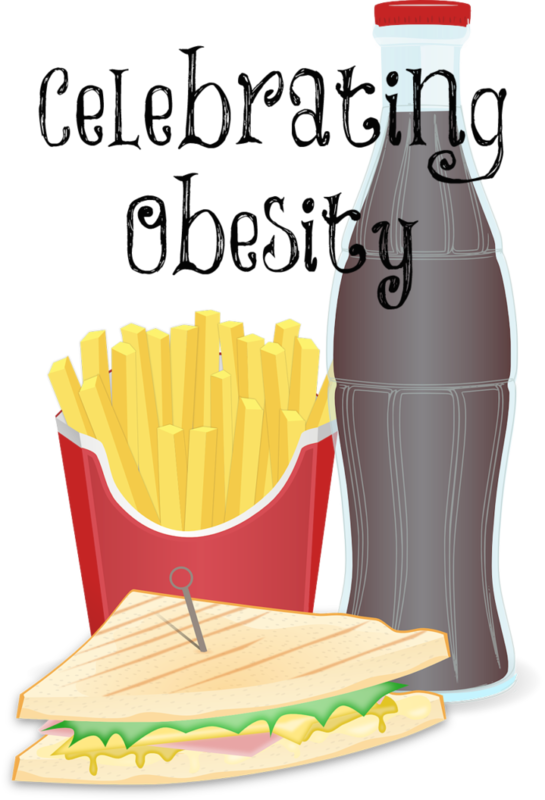 obesity is usually a result of a binge eating disorder or some other compulsive eating. it needs treatment. Overeaters Anon, which is spiritual based is brilliant for Christian or any woman needing this help. it is a form of self harm which is a result of low self worth and insecurity. the lady on the front cover of Cosmopolitan is a molestation survivor, and i wonder if she ever dealt with that? gluttony and sin is part of this but mental health issues are another. oh for God to raise more Christian psychotherapists and counsellors! it is very hard finding Biblical based trauma and eating disorder therapy where i live in the UK, but i believe it may be God’s will to raise more people in this job. maybe retired women or women whose children are grown up?